Where can i find node.cache for latest versions of node? I am looking for cache.node for nodeJS 10+. TryCache Version has cache610.node as it's latest which is not working with latest versions of nodeJS. Move files from server into Jenkins workspace. I am trying to copy an xml file generated on an Apache server into the Jenkins workspace post-build. I was thinking to use a 'send files over ssh' post-build script, but have not done this before and do not know how to refer to the file location on Apache server vs on Jenkins. How does the script differentiate between whether the location address refers to the Apache server or Jenkins workspace? Or is there a better alternative way to do this? Atelier1.2 Not Found. Check the web server configurations. I have generated an encryption key with the tool (UI.Portal.EncryptionCreate.zen). Then I activate my key for data encryption (UI.Portal.EncryptionManaged) and encryption work fine. But when I reboot my server the key is removed from the data encryption key list (UI.Portal.EncryptionManaged) and I have to re-activate the key. Perhaps somebody have an idee ? Using the CSP Gateway is there a way for an web application to mimics MLLP sockets connection? 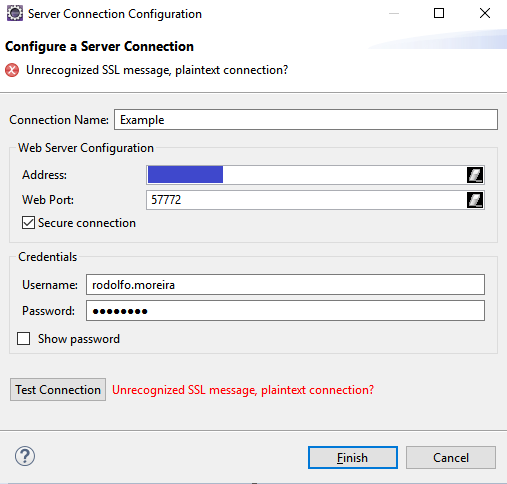 I have a requirement for no PHI in the DMZ and I wanted to see if there is a way to install the CSP Gateway in the DMZ to received inbound/outbound messages where the DB is in the protected zone. Does anyone know how to connect a Cache client to a GT.M database? I recently installed Osehra VistA on my PC and it uses GT.M, but we're supposed to use Cache Studio to develop. I tried adding a server to Cache (specifying 2222 as the port) and I get an "access denied" error. Port 2222 is the correct port which I use for for VirtuaBox and I have no problem connecting to VistA. I also tried going into the Management Portal to set up a local connection but this isn't working. There are some sites that say the products 'nodem' or 'node.js' are necessary, but I'm not sure how these fit in with Cache. Any assistance would be greatly appreciated!